Recently at the Esmod International Fashion Show in Istanbul, Turkey, a gatecrasher stormed the runway and made quite a stir during the show. But this stage-stormer wasn’t an angry protestor or a deranged fan – it was a tiny kitten. Yes, it was a cat on the catwalk. 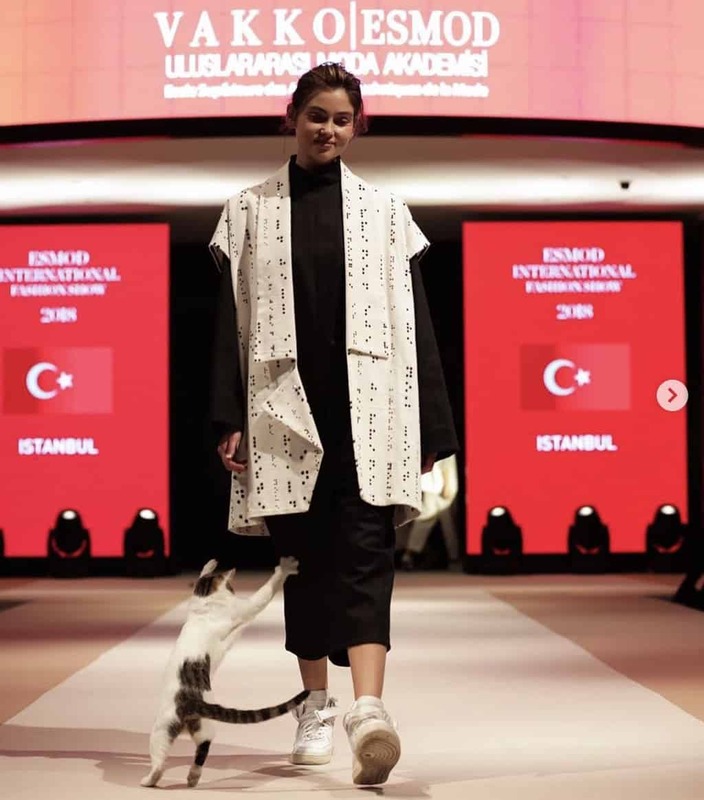 The tiny little kitten interrupted a fashion show in Turkey when the cat strolled up onto the catwalk like she owned the place. But people weren’t mad, in fact, the fashion crowd absolutely loved it! Not only did the little kitten manage to steal the show, but she also took a few jabs at the models who walked by her on the runway. Thankfully, the models were quite relaxed and they walked around her with ease. Nobody seems to know exactly where the cat came from or how it got into the fashion show for that matter. But did they mind? Not really, it added a little bit of fun and cuteness to the show. In fact, a video of the cat on Instagram has already racked up over 200,000 views. That’s great viral success for the fashion designer who’s clothing features. We’re just glad the event team found the cat on the catwalk amusing and they carefully ushered her away after the show. We’re just glad nobody stepped on her tail!